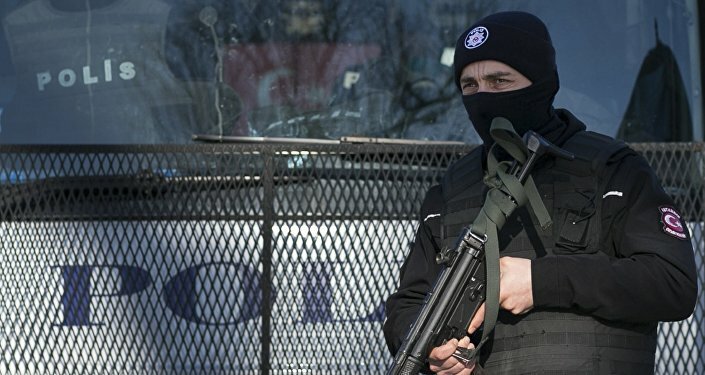 Turkish authorities decided on Tuesday to dismiss more than 15,000 people, working in different governmental institutions and serving in country's army and law enforcement agencies, because of their alleged links to the thwarted coup in July, local media reported. MOSCOW (Sputnik) — A total of 15,060 people, including 1,988 from the country's armed forces and 7,586 from police, have been fired over their alleged involvement in coup activities, the Turkish Minute media outlet reported. On July 15, a coup attempt took place in Turkey suppressed by the following morning. Approximately 26,000 people have been arrested since the attempted overthrow of the Turkish government that led to over 260 deaths. Officials alleged that opposition Islamic preacher Fethullah Gulen, who Ankara believes is seeking to overthrow the current government, was linked to the thwarted coup. Thousands of military officers, high-ranking civil servants, judges and teachers suspected of being Gulen supporters have been detained or sacked in Turkey after the failed coup attempt.